Adding a Process Breakdown Widget allows you to display the breakdown of List, Reference, Yes/No fields, and status levels. There are four Render types you can choose: Pie, Bar, List, and Pyramid. 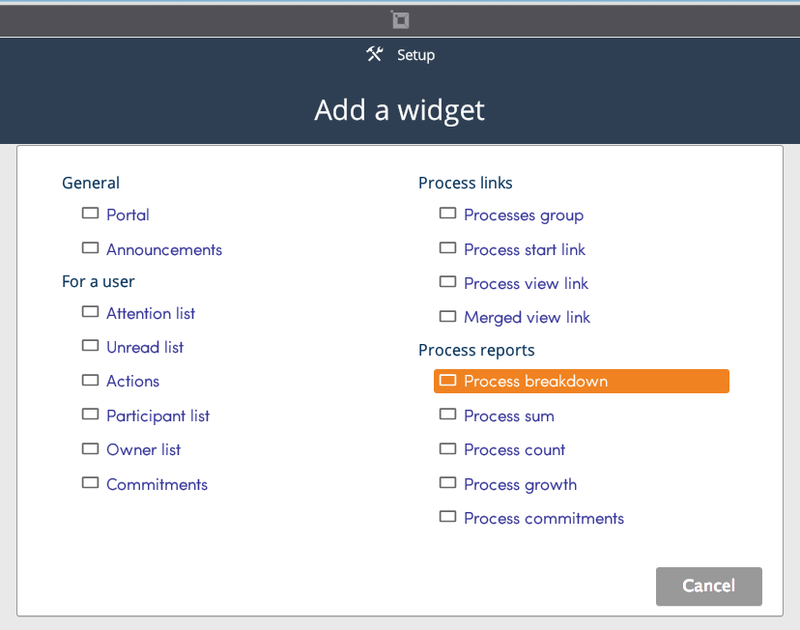 Below are examples of each of the different types of possible Simple Process Breakdown Widgets.